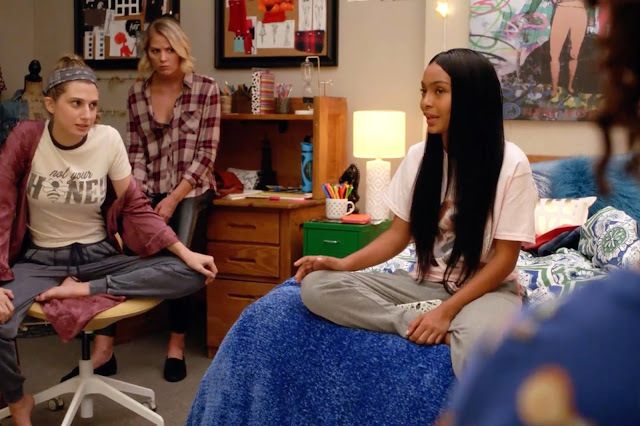 In a recent episode of Freeform’s grown-ish, college freshman Zoey, portrayed by Yara Shahidi, lamented her lack of accomplishments in comparison to other woman her age. She compared herself to Rookie Mag founder Tavi Gevinson and female education activist Malala Yousafzai, two of the most inspiring women of this generation, and complained about how she felt like she just hadn’t done enough up to that point in her life. I was watching the episode with my fourteen-year-old sister, who absentmindedly stared at the screen while texting. Maybe Zoey’s short monologue didn’t affect her or maybe she simply didn’t care, but the grown-ish scene had struck a chord within me. The truth was that I had always felt the same way about myself, like I was a failure in comparison to my peers. Whether it was classmates scoring higher on the SATs, writers publishing their own works, or artists with their own exhibits, my happiness for my friends and those in my network was confusing. I was proud of them, but saying ‘congratulations’ or ‘that’s awesome’ felt strained, almost fake. It wasn’t jealousy. The feeling was something much more innate; I was ashamed. And with each congratulatory hug and exclamation point-filled text, I was left feeling guilty because I couldn’t genuinely celebrate my friends’ successes. After talking to a few of my creator friends, I learned that my emotional turmoil wasn’t unique to myself. In this digital age, we’re constantly exposed to teenagers with platforms that far surpass our own. We follow their careers, sometimes almost religiously, and it can hurt to know that they’re accepting Golden Globes or sitting in the FROW at New York Fashion Week while we’re still making art in our bedroom. This made me think about what it means to be “successful.” Why had I determined that my friends were and I wasn’t? If there’s anything I’ve learned from all this, it’s that success is relative. There will always be another award to win, another movie to direct, another book to write. In grown-ish, Zoey was successful in that she graduated high school and is attending college, but her journey doesn’t end there. And I’ve accepted that I can’t set a standard for myself that will mark that I’m finally “successful” because I know if I do, I won’t be content anyways. I’m a creator. I’m successful when I finish a painting or video or article because that’s the goal of starting it. And I’ll always continue to create, even if I were to meet a self-imposed standard. Sure, the awards and praise that come along with making something that other people appreciate is cool, but they’re the perks, not the purpose. I have to remind myself that the accomplishments of amazing women like Malala and Tavi should inspire me, not discourage me. What they’re doing is helping the world in so many ways, and if what I create can do the same, that’s a bigger success than any award could ever be.